Enhance your look with a freshened up brow, unlike standard shaping, our brow experts take into consideration the shape of your face to create the perfect brow to enhance your look. If you haven’t been blessed in the eyelash department and envy some women’s lashes, you’ll be pleased to know that there is an instant solution – eyelash extensions & tinting. 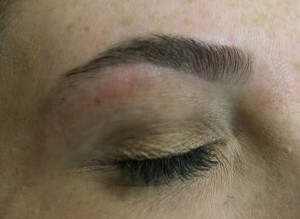 The Seven step process isn’t just shaping and tidying – The Brows process is eyebrow artistry! 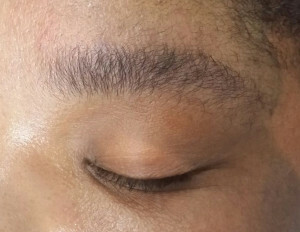 If you look at different pictures of people with bad/well-shaped brows, it’s clear that eyebrows really shape your entire face. It involves a high precision process that will transform your brow into a perfectly shaped eyebrow, dramatically enhancing your facial features. Whether you have overgrown or over-plucked, we can give them a better shape. 3. Thread/Wax above and below the brow lines using specific Brow guidelines to achieve that famously branded shape. 7. 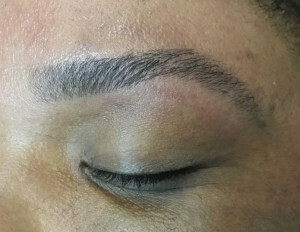 Aftercare and maintenance as not everyone will achieve the perfect HD Brow shape on the first go. We will show you how to maintain your HD brow look at home. At The Laser Beautique our mission is to make sure you always look your best at all times and we have amazing treatments, one of these treatments is Brow design. Your eyebrows are a vital part of your personality, they don’t only frame your face, but over 70% of your facial expressions depend on them! And that’s why the right brow shape and colour can take years off you. Brow design is is a personalised treatment that is done by a skilled brow specialist who assess several aspects of your face, such as expression lines, facial symmetry, colour and type of hairs. The techniques we use allow the therapist to find the ideal design for each face to enhance your natural beauty and to give an elegant and personalised expression. Brow design is a complete brow makeover. This service is the Rolls-Royce of brow grooming and includes tinting, tweezing, waxing & trimming which will ensure you are on trend with the ultimate brow couture. At The Laser Beautique we also offer permanent, exceptionally comfortable eyebrow design using a combination of laser and state of the art electrolysis which promises faster results and exceptional comfort. It’s a new era in eyebrow tinting and eyebrow design, Henna tint offers the perfect and natural alternative to eyebrow tinting, without the use of ammonia or hydrogen peroxide to develop the eyebrow colour. Normal eyebrow tinting just colours the brow hair, but Henna colours both the hair & skin. At The Laser Beautique we have 7 colours that we mix and match to tailor make the right colour for each client. The colour gives the brows an amazing powdered tattoo effect that can last up to 5-30 days depending on client’s skin type and eyebrow aftercare. Most client results should last on average between 2.5 – 3.5 weeks. The Henna eyebrow tint process begins with thoroughly cleansing the brow area to remove all oils from the eye area, next the skin is exfoliated to remove dead skin cells, lastly a special shampoo is used to open the hair shaft to allow for a thorough colour deposit. The Henna is mixed and applied to the eyebrows for 15- 20 minutes. 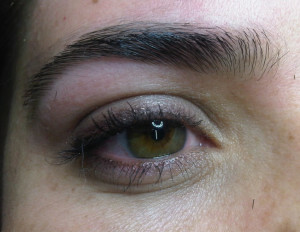 The longer the colour is kept on the eyebrows the longer the colour stain will last on the skin. In the final step a sealant is applied the brows to help lock in the colour. Staining henna gives you the opportunity to create expressive eyebrows and camouflage gaps in over tweezed eyebrows or brows with sparse hair. Henna allows you to achieve maximum results with staining, prolonging the effect of the procedure, as well as strengthening the hair. Eyelash extensions are used to enhance the length, fullness, and thickness of natural eyelashes. At The Laser Beautique, the extensions used are made from premium silk lashes. When they are applied correctly and properly by one of our many skilled therapists, they are safe and do not ruin the health of your natural lashes. One needs to be sure not to rub their eyes or tug or pull on the extensions because this can cause lash loss and even damage to your natural lashes. An instant answer for longer, thicker, beautiful-looking eyelashes. Developed to mimic your natural eyelashes, each lash is individually applied to a single eyelash, resulting in a gorgeous, natural appearance. Using an adhesive, lashes are only applied by a trained and certified lash stylist. Lash extensions are not traditional false eyelashes, eyelash flares or implants. Safe and comfortable to wear, lash extensions at The Laser Beautique are never applied directly to one’s skin or eyelid. With routine touch-ups every two to four weeks, you can have amazing eyelashes indefinitely. Understanding all the different types of lashes will assist one in choosing which is best for them. Synthetic lashes, also known as acrylic lashes, are generally the term used to describe thicker lashes such as 0.20mm thickness and above. These lashes come in loose form in bags or small pots. 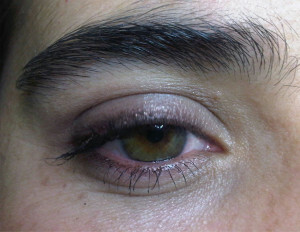 These are the type of lashes that most lash experts trained with (way back when) before other options became available. They are usually coarser, shinier, and heavier compared to the other types of lashes and produce the most dramatic (and damaging) result. These types of lashes tend to have the fake or false lashes look, and are becoming less popular. The term ‘silk and mink lashes’ is often confused for being composed of actual silk and mink fibres, but they are both made from synthetic fibres called PBT (polybutylene-terephthalate). The characteristics that differentiate silk and mink are their tapering (how fine the lashes are shaped towards the tip), their weight, and their finish. In most cases silk is less tapered, lightweight, with a glossier finish; whilst mink lashes are more tapered and has a matte finish. From our experience however, the features and quality of both faux silk and mink lashes depends greatly on the brand of lashes, as the term is used quite loosely and the characteristics described above can be reversed depending on the manufacturer. Not all lashes are manufactured with the same quality raw material! Finally, real mink and human hairs are considered to be the finest type of eyelash extensions as they are natural fibres that are more exotic and rare. A set applied with this option is often charged at a premium price. Although they are indeed very soft, light, and natural looking, there are cons to using these fibres – it is difficult to verify whether the hairs are ethically sourced, and truly sterile. Also, as it is a natural hair, they do not retain their shape and curvature well over time. At The Laser Beautique, we have tested many types of lashes from different suppliers across the world and we use only the best premium silk lashes. We find that the silk lashes are available in the widest range of curls, length, and diameters to suit all needs and they retain their curl superbly. What is a lash coat? Lash Coats is a semi-permanent mascara that will last for 4 weeks or longer. Lash coat semi-permanent mascara is an innovative cosmetic application that is poised to revolutionize the mascara industry. Safely coating the lashes, while gently adding volume, dramatic length and a dark velvety colour. The fibres are applied to individual eyelashes, one lash at a time, for a natural, elegant look. Lash Coat is completely water resistant, so it won’t smudge no matter how much you get them wet. Lash coat is an innovative cosmetic application that is poised to revolutionize the mascara industry. Imagine the freedom! “Coating” your lashes just once allows you to wake up and maintain gorgeous lashes for up to two weeks! No hassling with mascara. No makeup remover. No mess. No more raccoon eyes! Just gorgeous, beautifully sculpted, semi-permanent painted lashes when you wake up in the morning, through your exercise routine, and when you go to bed at night. Lash coat is ideal for any woman who wears mascara but is tired of the high maintenance of daily application. Most women struggle daily with one or more mascara-related issues: smearing, running, clumping, flaking, application difficulty, sensitivity, not to mention the inconvenient time factor involved in daily application and re-application. Any woman who wants to feel confident, carefree and effortlessly beautiful around the clock is a candidate for Lash Coat, It’s More than Mascara. Lash Coat is more than your typical eyelash colour formula – it goes beyond even the most perfect application of mascara to provide colour and enhancement you don’t have to fight with. For women who enjoy outdoor activities that may inspire perspiration, go ahead and sweat it and forget it. Whether you’re running a marathon, playing tennis, or diving into the pool, Lash Coat leaves you looking picture perfect. Feel confident that you will look your best, no matter the weather or the occasion. Another new TLB favourite treatment is Lash lift. If you haven’t been blessed in the eyelash department and envy some women’s lashes, you’ll be pleased to know that there is an instant solution which is also an alternative to eyelash extensions. If you are lucky enough to have a good number of eyelashes that lengthen easily with mascara, it may be that you actually don’t need lash extensions!! A lash lift is an advancement on the old fashioned “lash perm”. Unlike the perming rods used in the past, new specially created silicone pads lift the lashes from the root, curls, and shapes, creating a subtle, natural looking lift, giving the illusion of length and making the eyes appear more open. This is a great alternative for clients who aren’t prepared for the maintenance of eyelash extensions, and want a long-lasting alternative. A lash lift lasts 6-8 weeks on natural lashes, even with routine mascara wear and facial cleansing. Lash lift can be done in conjunction with the use of eyelash growth products. We recommend a lash tint directly after having a lash lift treatment as this enhances the effect and makes the lashes appear longer and bolder. Immediately after the procedure avoid steam for 24 hrs and discontinue the use of lash growth products for 48 hours. Mascara can be applied immediately.